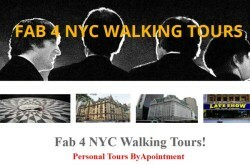 A native New Yorker and tour guide specializes in NYC Beatles walking tours. 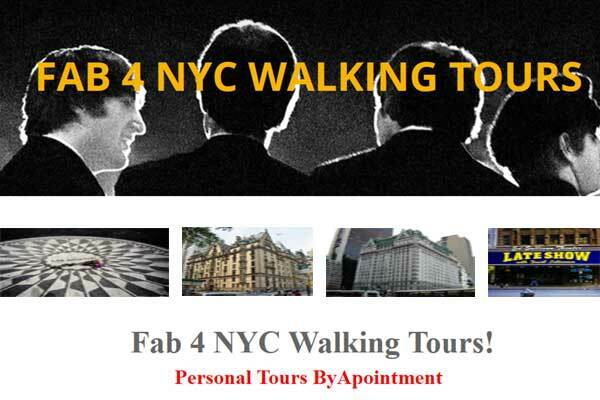 If you’re a Beatles fan and you’re coming to New York City, check out a wonderful, personal tour of Beatles sights with Fab 4 NYC Walking Tours. Discounts are available for groups of 10 or more — contact Susan for more information. Email to Reserve Your Tour – [email protected] – or call 917-414-3315 between 10 AM and 4 PM Eastern Time, Monday through Friday.